Love at first sight. 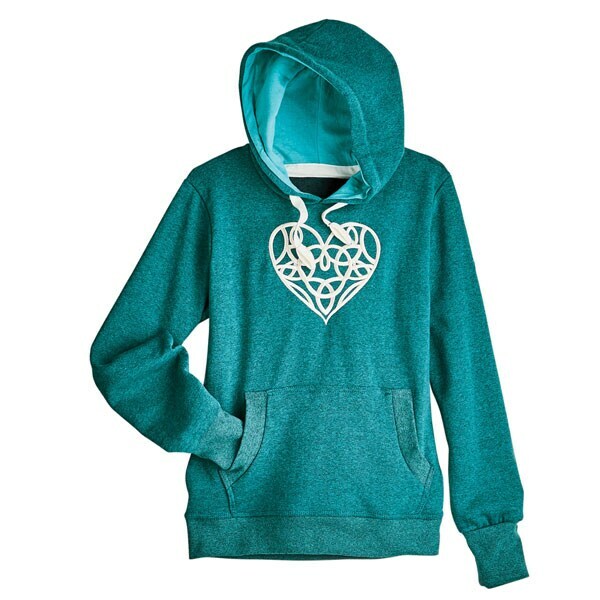 Ladies' hooded aqua marine sweatshirt features a large embroidered Celtic heart on its center, a kangaroo pocket, ribbed trim, and jersey-lined hood with drawstring. 55% cotton and 45% polyester. Sizes S-XXL. Fit runs small. Machine wash. Imported.